Honestly it was such an amazing experience to have a lesson with Alycia burton she is though on you and tells you exactly what you are doing wrong and right honestly is the most informative lesson I have ever had can’t thank her enough for how much she thought me in such a short space of time. Deffinently worth the cost! Everything about Alycia from her teaching, training methods and the way she connects with youths in genuinely impressive. My step-daughter and I have been to both of her Boneo presentations, with my step-daughter attending the camp last year. She is an inspiration to young and old. Keep up the fantastic work. 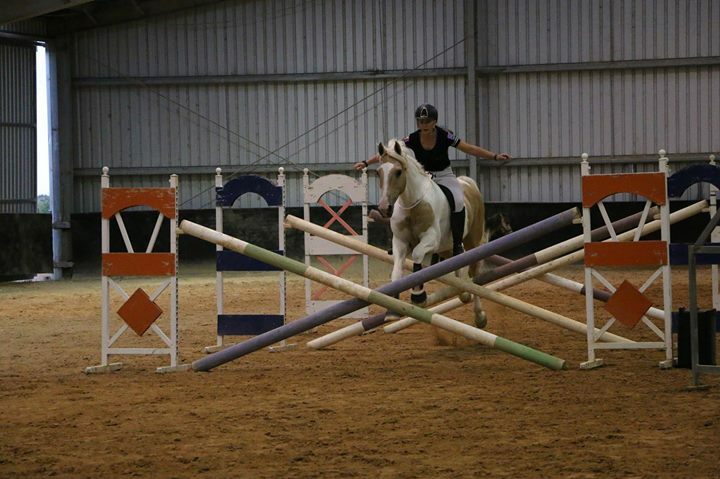 A friend and I attended the clinic at Caboolture - so fantastic. 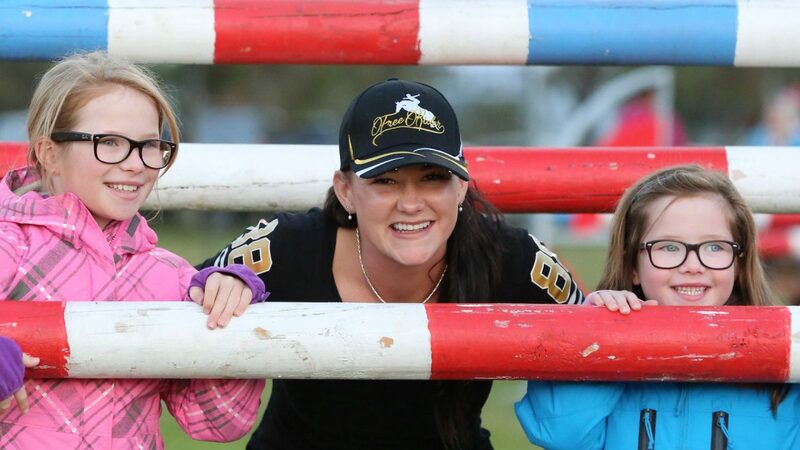 Apart from some amazing riding, a masterclass on bonding and training and some entertaining stories, what most impressed me most was Alycia's passion for teaching and inspiring young people. For any parents out there contemplating a camp or clinic for their child - do it! There are life lessons to be learnt here, not just lessons about riding. Good work Alycia, love it. Hi Alycia. My partner and I attended both of your Sydney shows. Thank you for sharing what you do, ideas, goals and knowledge. Your love for horses and passion for youth and adults of all ages to pursue their passions and work towards success was inspiring. My main passion is dressage but horse riders of all backgrounds, people with any interest in animal training and even non riders can get something from Alycias shows. Thank You. Good luck in your American adventures - they are sure to be further successes. My girls loved their lessons with Alicia, she was fair and respectful of every rider in every lesson. Her messages in her meet and greet are for everyone, not just riders. Can not recommend more highly any chance you get to spend time with her. Thank you so very much for coming to Tassie, so often we get left off national tours but we are so appreciative you made the effort. If you come back, we will be back!! Thank you for your excellent lessons today. I signed up for the confidence group and it was exactly what I needed. I now feel back on track with a plan for the future! And my daughter learnt so much in her group too. You explain everything so well, and so simply, to benefit both horse and rider. Thank you so much for taking the time to come to Tassie and spend quality time with us. 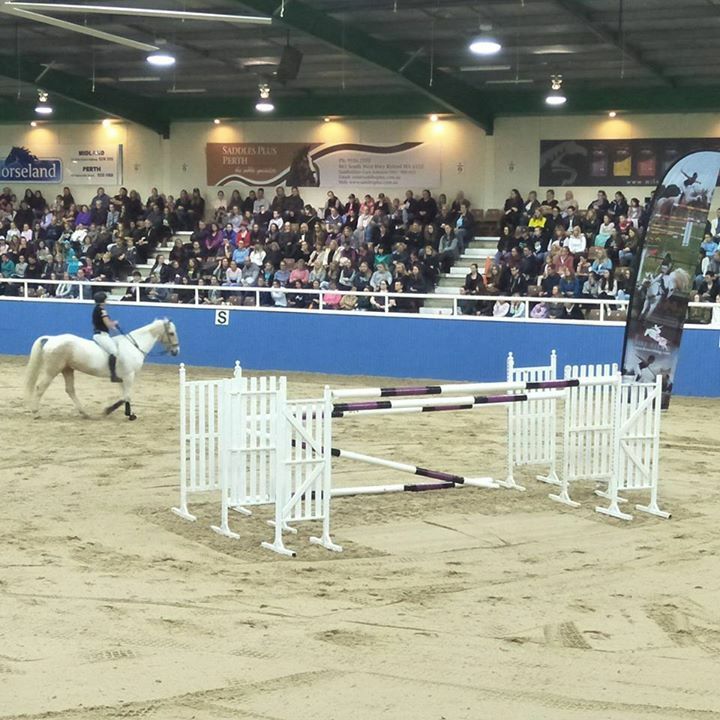 I would recommend your presentation to all members of the family, not just riders, as it is as much about developing skills to make the most of life, as it is horse riding. Wow Alycia.....so beautiful to see someone who treats their horse with the love and respect he deserves. You have such an amazing bond with Goldrush... thank you for sharing and inspiring me so much. Can't wait for this evening's show. And what a heart for children you have.... absolutely fantastic experience. 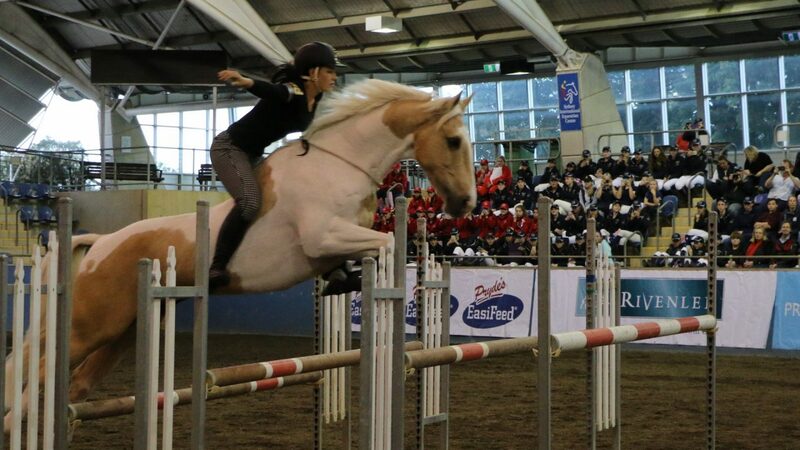 THANK YOU SO MUCH for getting out there with your beautiful horse and showing the world how it should be done. You are both an incredible team. 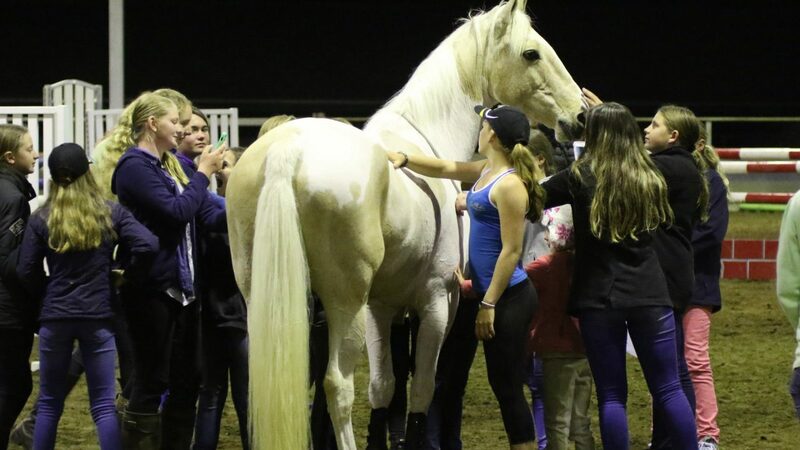 We brought a group to Alycia’s event at Sutton Farm in the Southern Highlands and we all agreed it was a wonderful experience, both for people new to horses and those who have worked with horses for many years. We left feeling inspired and ready to look at how we can improve the way we approach training. I Saw Alycia tonight at the Gatton indoor arena. What an amazing young woman with so much wisdom. Came away feeling determined, strong and inspired. Even if your not a horse person you should totally check her out. Well worth it, even if you are not into horses, my girls and myself had a great time, will go again if I ever get the chance! Alycia's two night show was outstanding! Her outlook and passion for her work was refreshing and contagious. It was an absolute pleasure to see the bond between herself and 'Goldrush', and their story is truly inspirational. I would strongly recommend her performances to anyone and would encourage people to support the incredible work she is doing. Best of luck with your future work - I cannot wait to hear of your achievements! !